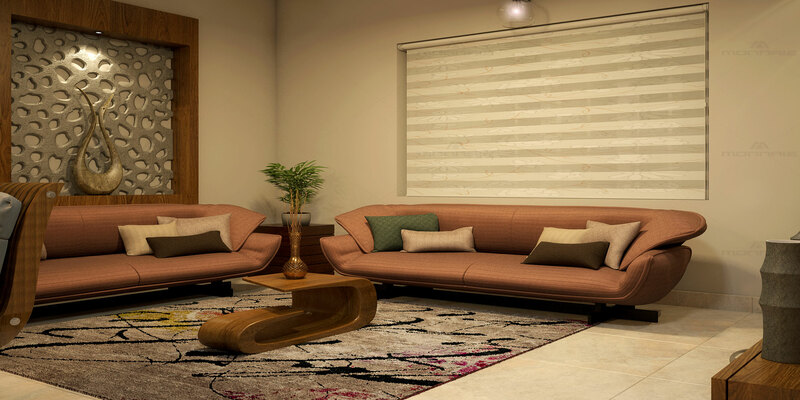 This design gives a modern luxury ambience. Pastel colour combination of wall colour and sofa is eye catchy. Unique bend design of centre table is very unique and rare. Designer wood panelling is goes well with the overall ambience of the room. The wood works at false ceiling gives a luxurious look for the space.